Do you love to give popcorn as gifts? Ever since I was a kid, my family has given popcorn to teachers, friends, and family. Not the cheap stuff, but the yummy specialty popcorn you look forward to during the holidays. For us, food has always been a wonderful experience that should be enjoyed, so why not give family and friends the same sort of gift we would love to receive? Today, the big problem is finding that sort of gourmet popcorn, especially if you want to give them a gift that just about anyone is sure to love. 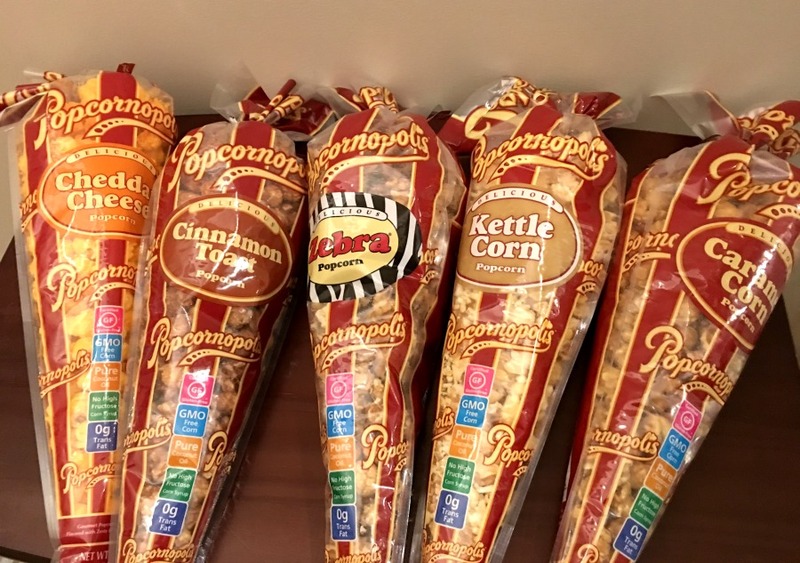 Luckily, we recently found the perfect popcorn – Popcornopolis. 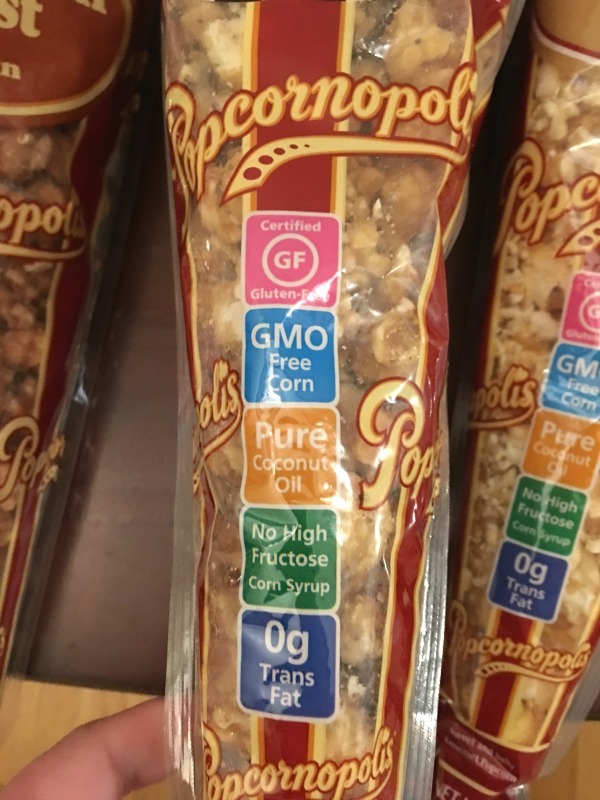 After trying this popcorn at our local Kroger, we were excited when they found out they had their own gift set for the holidays – the Popcornopolis Red Snowflake Gift Basket. Popcornopolis Red Snowflake Gift Basket: What is It? Best of all, all these flavors are certified gluten-free, and made with non-GMO corn. As well, they contain 0 trans fats! Who knew getting a healthy Christmas gift was so easy! So, what do we think of this popcorn gift set? I honestly think this may be the best popcorn gift set I have tired, period. Yes, I have tried a lot of them over the year and the popcorn in this one is just so amazing. With how they are packaged, it is just so flavorful, fresh, and the perfect texture. There isn’t anything I would change, especially since each cone is perfectly sized for two to enjoying a long movie or Netflix marathon. After trying this gift set and all of Popcornopolis popular varities, I know I will be purchasing more of this popcorn in the future to give as gifts this holiday season! 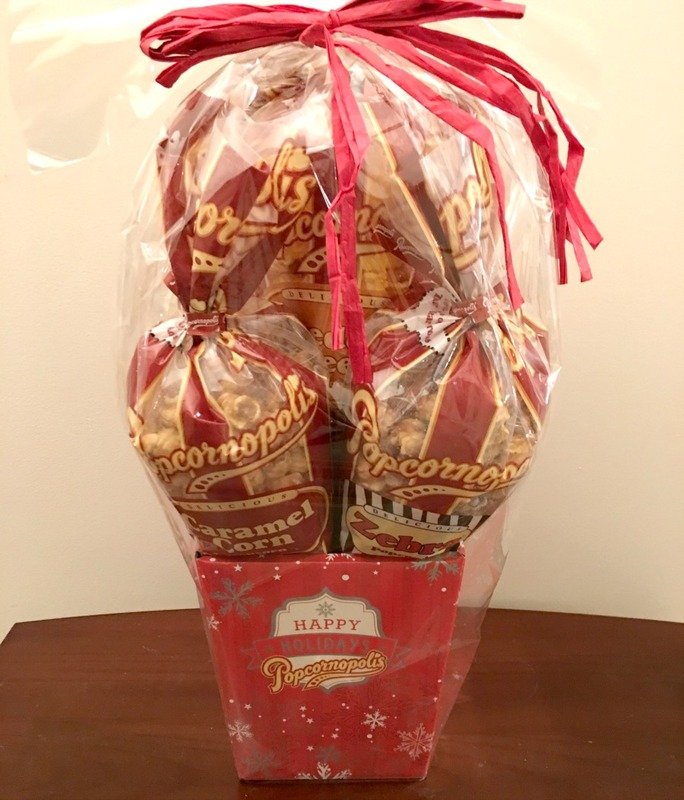 Popcornopolis Red Snowflake Gift Basket: Where to Purchase? Want to purchase this awesome gift basket for someone special this holiday season? 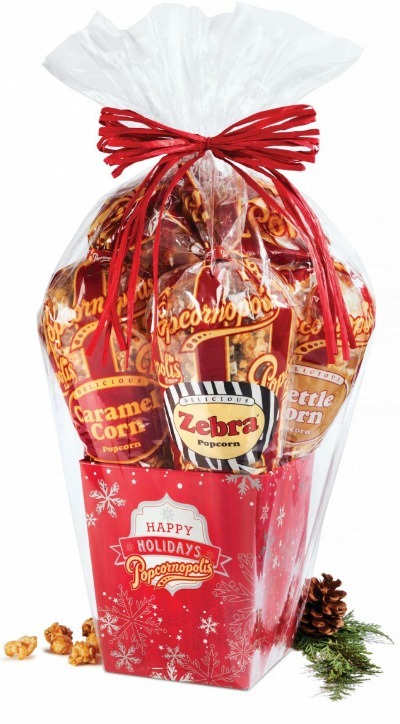 You can find the Popcornopolis Red Snowflake Gift Basket on the Popcornopolis website for only $44.99. Make sure to head over there today to see their great selection of popcorn! Check out Popcornopolis on social media! This is such a great gift idea especially for the popcorn lover. I will definitely check it out. I would love to get a gift like this. 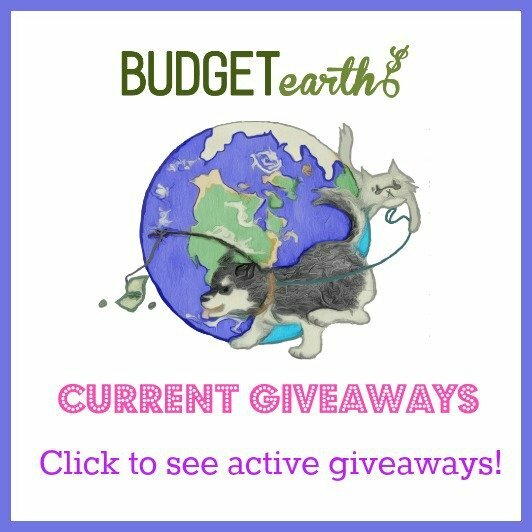 This would make a great gift–ty for the idea! I love caramel corn the most! I love this basket. I just don’t know if I would be able to give it away. Thanks for sharing Popcornopolis Snowflake Gift Basket! This looks really tasty. I’d like to see a savory version of it. all these popcorn look and sound so good. My mother will not eat cold popcorn she wants hers right out of the microwave. I think these are great family gifts also. I know my family would have fun trying the different flavors. These are good!!! So yummy !!! I think these are great gifts for Christmas, birthdays, etc. They are especially good for those hard to buy for people. Good idea for the pop corn lover.